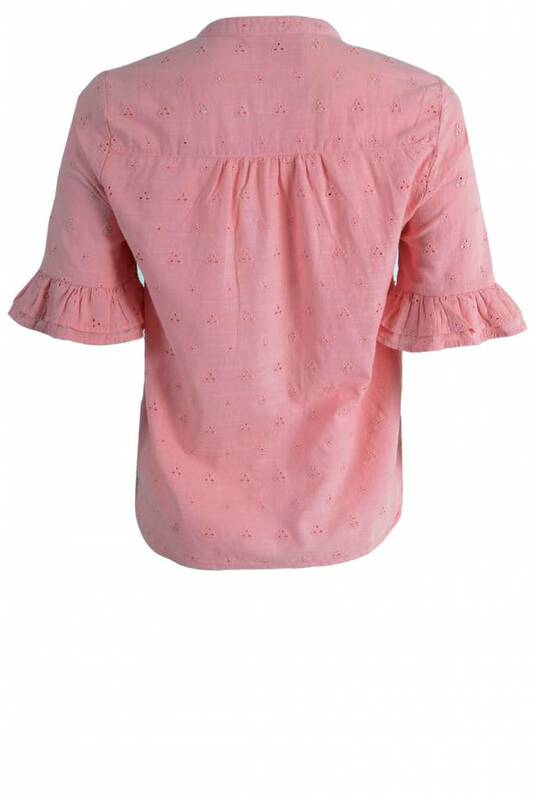 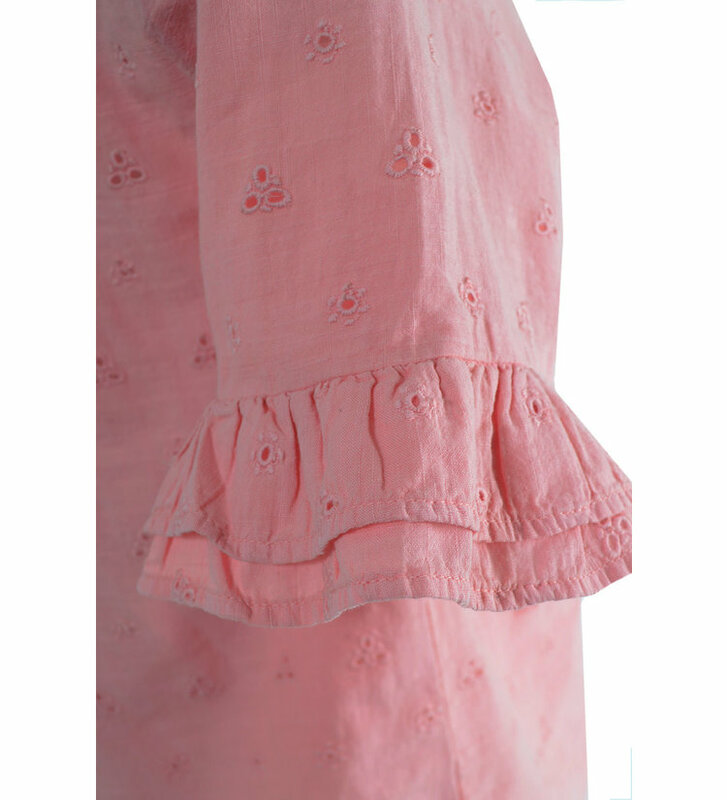 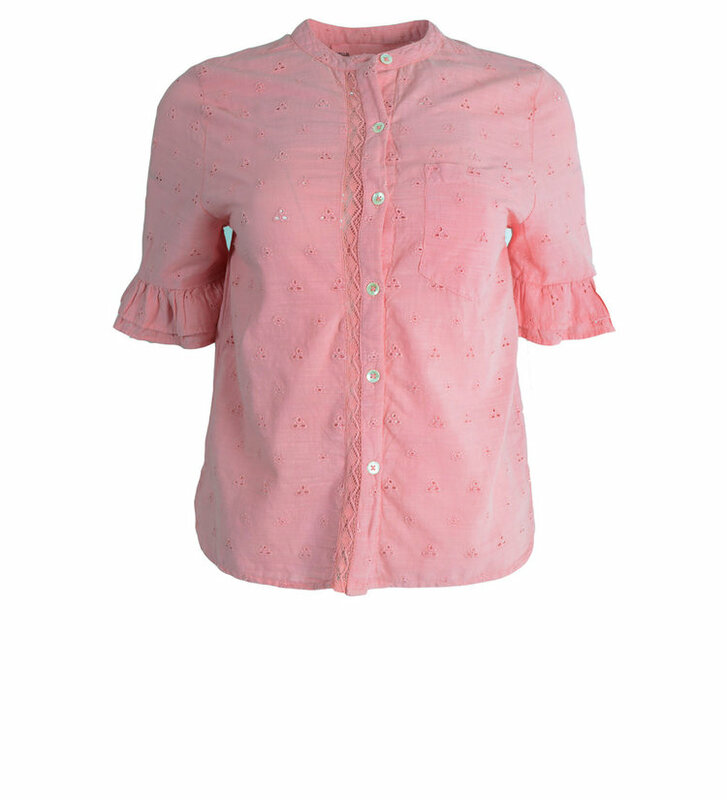 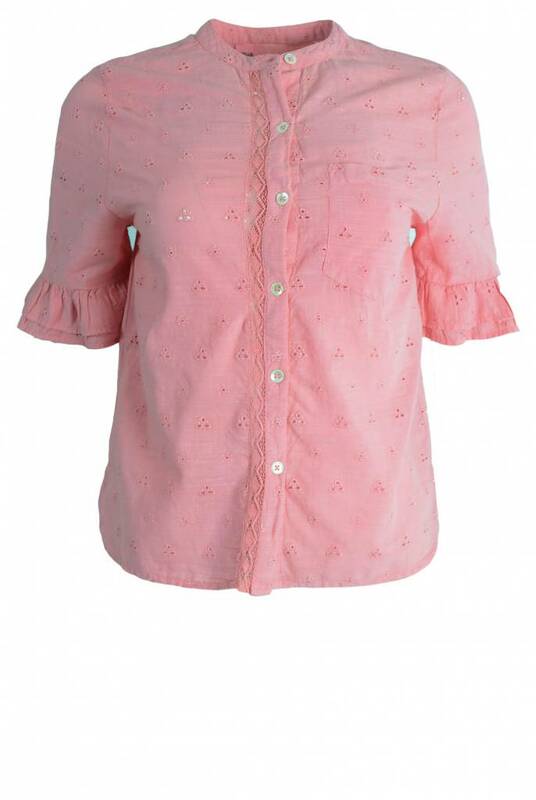 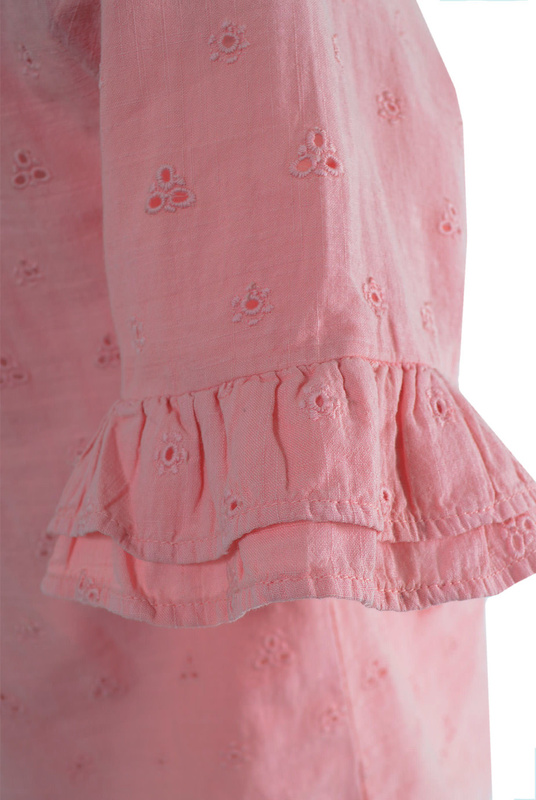 The Chemin Blouse Lace Pink from Leon & Harper. 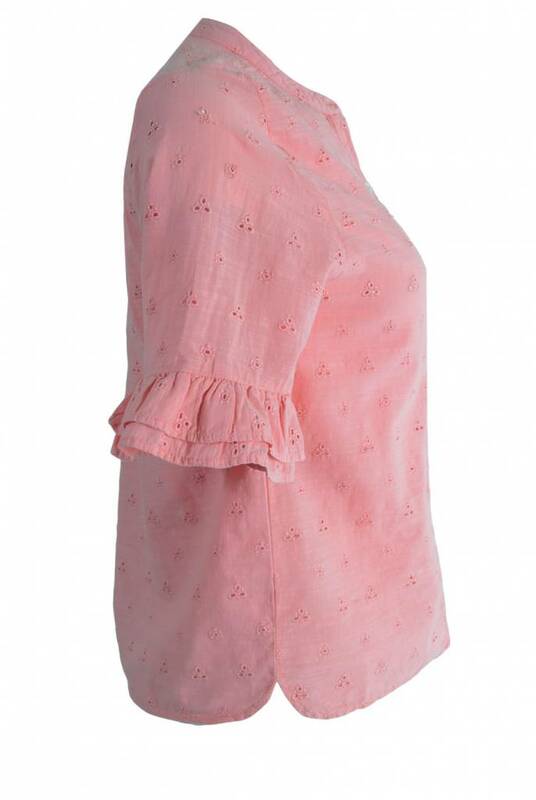 The blouse with short sleeves is decorated with a crocheted detail and a ruffle trim at the sleeves. 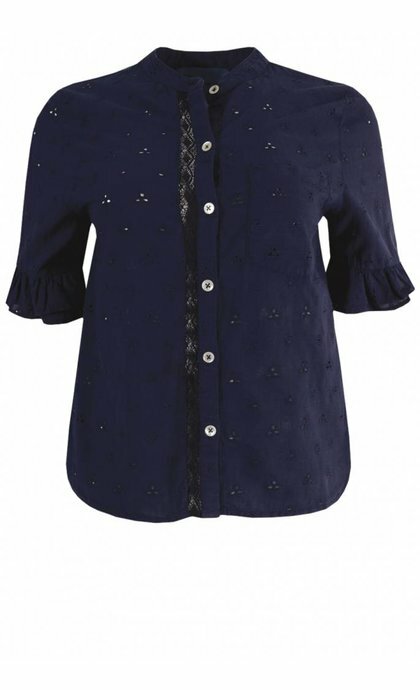 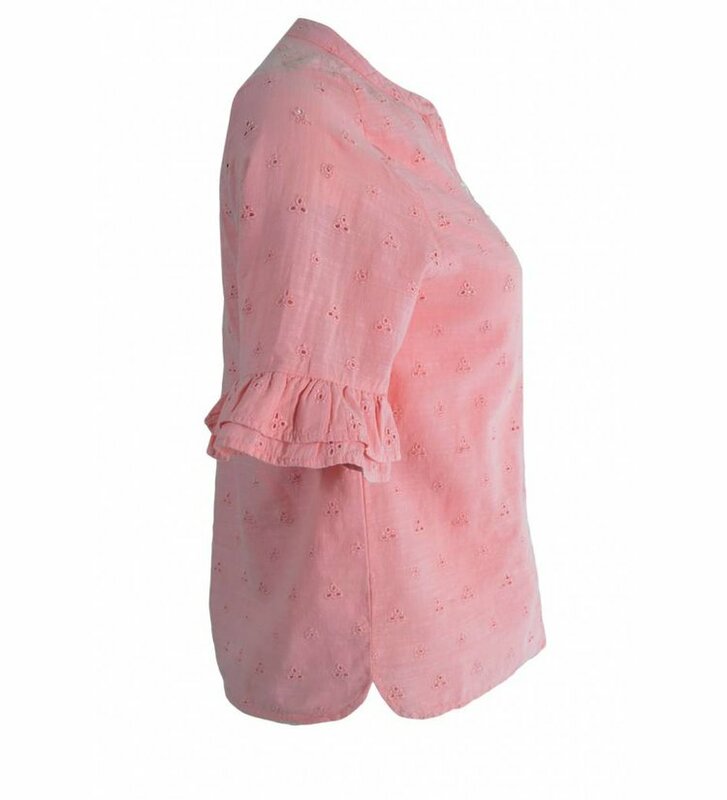 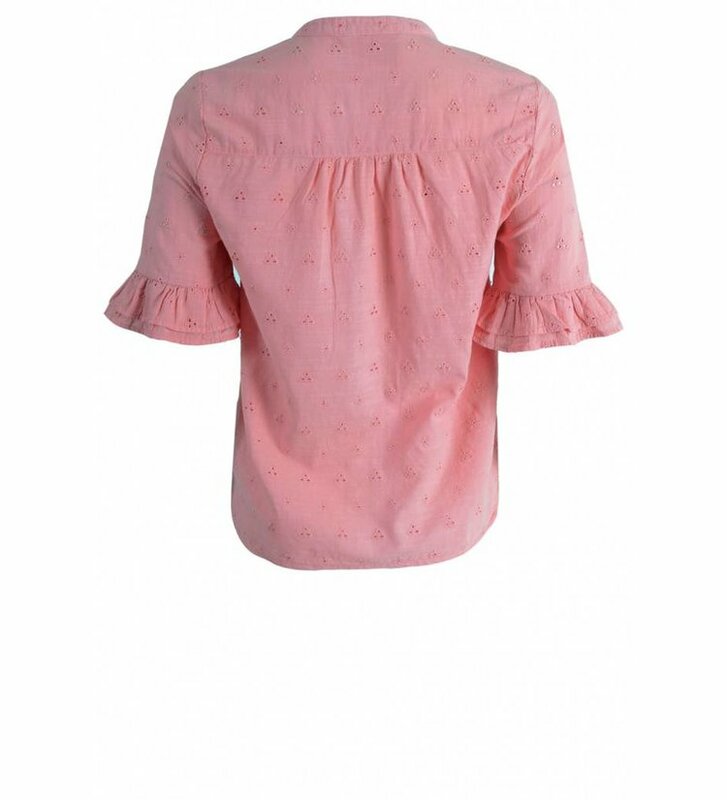 The blouse has a round neck, front button fastening and a breastpocket.